The northeast of India is unique in its own way from the rest of the country. The geographical distance from the mainland gives this region a seclusion which contributes to their unique identity. A lot of these states have thriving tribal cultures which are centuries old. It is a good sign that the isolation helps them nurture their heritage with a greater passion unlike the modern way of life which pervades cities and towns of mainland India. In continuation with Part 1 of the Talk Travel App Northeast India guide, we will talk about destinations in Arunachal Pradesh and Assam in part 2 of the northeast of India travel series. Visiting any of the northeastern states requires some sort of permit issued by the Government of India. Get a permit beforehand as you do not want to waste time procuring the permission to enter when you are on your way. Both domestic and foreign visitors need a permit to visit. Read this blog to get all your information regarding permits to visit these states. Arunachal Pradesh is another beautiful state in the northeast of India. It is called the Land of Dawnlit mountains as it in the easternmost part of India. Places are remote here and its people are very protective of their heritage. Places are not easily accessible here as the terrain is hilly and full of forests. This seclusion gives it a touch of exoticism. How to travel to Arunachal Pradesh? Itanagar is the capital of Arunachal Pradesh and it does not have an airport of its own. The nearest is the Guwahati International Airport in Guwahati and Lilabari Airport in Ujjalpur in Assam. A few airlines fly daily to this airport from major Indian cities like New Delhi, Mumbai, and Kolkata. They are around 70 km away from Arunachal Pradesh and you can take a bus or a taxi to reach Arunachal Pradesh. There is also a helicopter service to drop you in Itanagar from Guwahati for people with permits to travel for a price of around 4000 INR (60 USD). There are is a direct train from New Delhi to Naharlagun, which is 15 km outside the capital of Assam. There is another direct train from Guwahati which plies every day to Naharlagun. There are national highways that connect Arunachal Pradesh from major metros like New Delhi and Kolkata. The distance is too long and you can easily get exhausted. Instead, take the train or the flight. October to April is considered the best time to visit this state. It is a mountain town at an altitude of 2,669 m. It is famous for the Tawang Monastery which is considered as one of the largest monasteries in India. This is a high altitude mountain pass at an elevation of 4170 m. The Sela Pass is considered the gateway to Arunachal Pradesh as this is the only road that leads to the state from mainland India. There is also the Sela Lake which adds to the breathtaking view of this place. Roing is a picturesque town in the Dibang river valley which is in the easternmost part of Arunachal Pradesh. Watch out for Mehao Lake, Mehao Wildlife Sanctuary, a town called Hunli, Sally Lake, and Iphi-Pani Ghat. Bomdila is perfect to relax with fantastic views of the Himalayan Mountain Range. This is the Sessa Orchid Sanctuary and Eaglenest Wildlife Sanctuary. There are apple orchards everywhere and the Bomdila Monastery to visit. This is a religious site for scores of Hindus who take a holy dip in the Lohit River. There is an annual fair that is held here every year in the month of January on the occasion of a festival called Makara Sankranthi. People from the local tribes come down to this spot with their cattle and sell handicrafts like fur rugs. You can also go river rafting in the river or go on a hike around this place. This is the third largest national park in India and has one of the richest biodiversity. Between November to March, you can go a rainforest trek through this national park organized by Greener Pastures. 115 km from the capital, Itanagar, the little town of Ziro is famous for its cultural heritage. It is amazing to witness how their culture and traditions are still so strong even in the 21st century. Read this Northeast India travel blog to know what all you can do in Ziro Valley. There is an outdoor music festival held here every year called Ziro Music Festival. You can get all the information about the line up of artists and the upcoming festival dates in 2019 here. Since the states in the northeast of India are surrounded by countries like China, Myanmar, Nepal, Bangladesh, and Bhutan, an opportunity arises sometimes when you can step your foot on the final frontier. Pansau Pass is on the border between India and Myanmar at an altitude of 3,727 ft. There is the famous Pangsau Pass Winter Festival held every year in the month of January in a village called Nampong in India, close to the border. 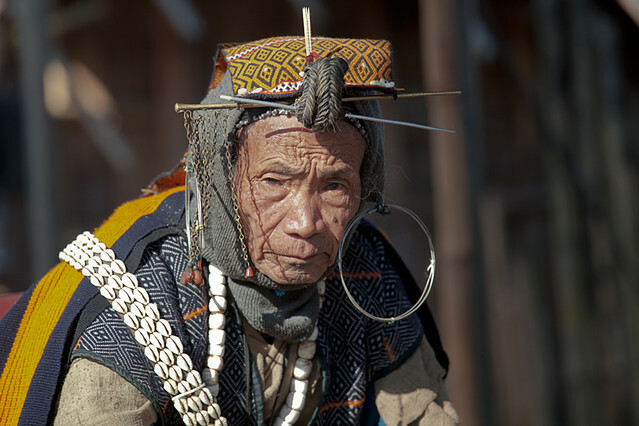 You can witness the extravagance and the rich culture of the local tribes. There will be folk songs, art, ethnic wear, traditional sports, and more. Assam is a state where you can enjoy nature at its best. There is greenery everywhere and two aspects of tourism which make Assam outstanding are the tea plantations and the numerous wildlife sanctuaries. Thanks to the Brahmaputra river and the many tributaries that flow right through this state that makes this land so fertile. 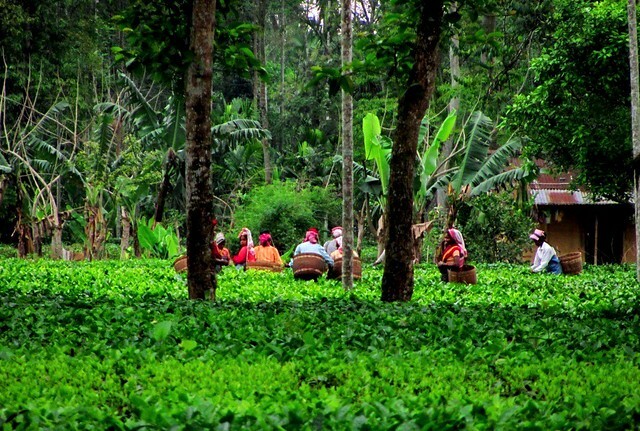 This state is considered as the Tea Garden of India. This kind of tourism is an interesting twist while you travel in the northeast of India. Feel like a tea connoisseur at the end of your trip. You can indulge in an end-to-end tea manufacturing activity starting from the nursery where the plants are grown until the tea leaves are sorted and packed. Romance with tea at this award-winning responsible tourism estate called Wild Mahseer. This place is not just about tea, but you can also learn about the local biodiversity in nature walks, understand the local tribal community, safari, and bird watching. Another awesome organizers of tea tourism in Assam is Greener Pastures. In this tour, you can stay in bungalows amidst tea plantation, go on village walks, pluck tea leaves and visit the nearby tea factory. 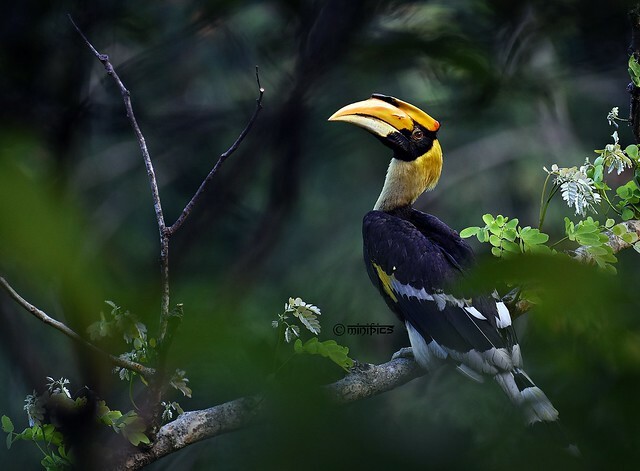 If wildlife tourism and photography is your thing, then one of the best places is the northeast of India. Assam is synonymous with the one-horned Asiatic rhino. This state has successfully conserved the one-horned Indian rhinoceros from near extinction. It is world famous for the Kaziranga National Park &Tiger Reserve. This is a very famous place in the northeast of India. Go on a jeep safari or an elephant ride for an unforgettable wildlife encounter from close quarters. You can choose the kind of tour package you want and make your online booking on the official website itself. The cost of the safari ranges anywhere between 1,000 – 3,000 INR (15 – 40 USD) depending on the kind of safari you opt for. The park remains closed from 01 May till 31 Oct every year for all visitors. Therefore November to April is the best time to visit. There are a plethora of other wildlife parks to visit spread throughout the state of Assam like Manas National Park, Orang National Park, and Dibru Saikhowa National Park. There is also the Pobitora, Dehing Patkai, Bura Chapori, Chakrashila, Bornadi, Laokhowa, and Amchang Wildlife Sanctuaries. This forest is like a slice of heaven placed in the heart of Assam. It is a forest on Majuli Island in the Brahmaputra river. 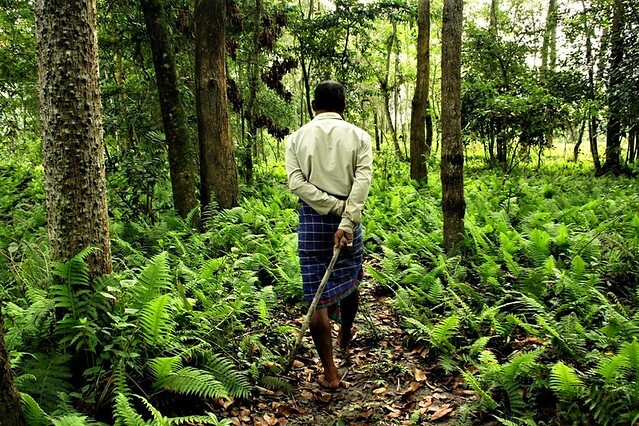 The most unique aspect about this forest is that it is completely man-made, thanks to the effort of one man by the name Jadav Molai Payeng. About four decades ago, this stretch of land was dry and barren due to excessive deforestation. Payend came across a bed of dead snakes on the shores of the river due to immense heat in the region. Payeng was so heartbroken at this sight that he took it upon himself to plant a tree in this barren land and today it is a tropical forest reserve. Molai Forest is an area of 1,360 acres or 550 hectares. Wildlife flourishes in this forest with elephants, deer, rabbits, apes, and even tigers. If you would like to indulge in some spirituality in your holiday there is the popular Umananda temple and Kamakhya temple in Guwahati. Both attracts thousands of Hindu pilgrims who throng this place to offer prayers. The Talatal Garh is located in Rangpur in the upper regions of Assam. This palace has an architecture very different from what we observe in the rest of India. This palace belonged to the Ahom kingdom of the Brahmaputra valley which ruled this land between the 13th – early 19th century. Other places of interest are the ancient ruins of Rang Garh and Kareng Garh. 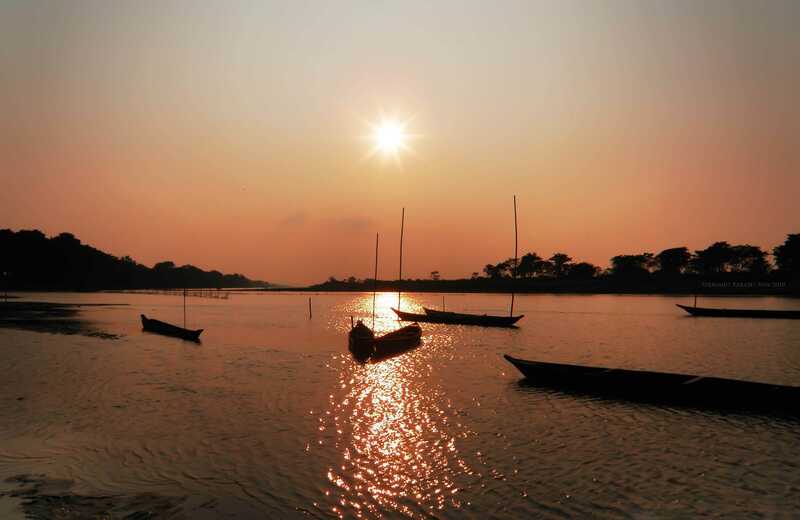 To appreciate the mighty Brahmaputra which flows here in abundance, head on an adventurous river cruise for a week. On this trip, you will explore the Kaziranga National Park, learn about Assamese culture and its people. We hope this guide helped you in getting a fair picture of what places to visit in Arunachal Pradesh and Assam. Read our Part 3 and Part 4 of the Talk Travel Northeast of India guide to know about Meghalaya and Nagaland in Part 3. 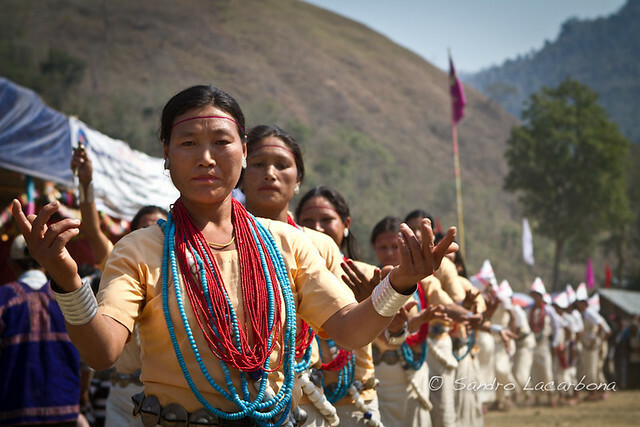 Read about Manipur, Tripura, and Mizoram in Part 4 of why you should visit the northeast of India.